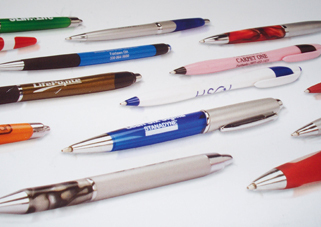 Promotional Items often require a minimum quantity depending on the item, below are just a few samples of what's available. custom pens available in many different syles and colors, some with larger imprint areas then others. 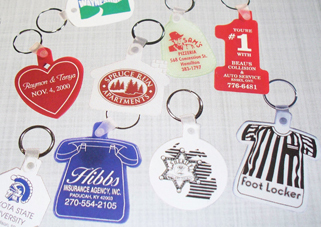 Keychains with custom shapes, variety of colors and styles, with Your Logo! Call for more details. 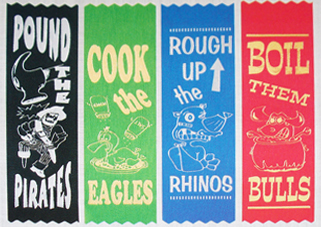 Ribbons available in different sizes and colors, solid color imprints only, no photos or gradients. Call for more info. Didn't find what you were looking for?? ?, call or email us today!